and have always been — in place. 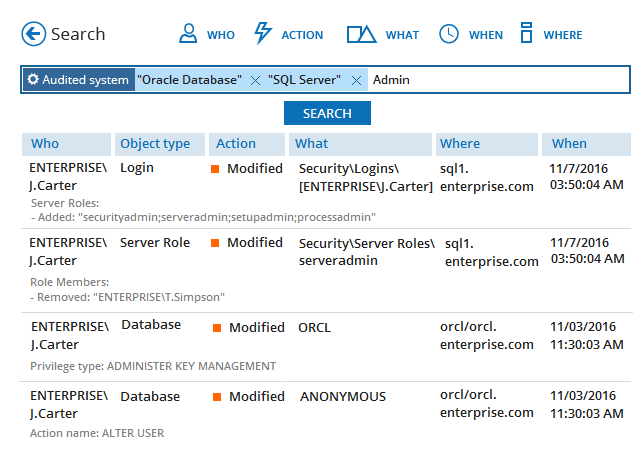 Quickly identify sudden bursts of failed logons, file deletions or file reads, as well as other abnormal events that might signal an active threat to the security of your PHI. Reduce the possibility of unauthorized access to EHR and limit the damage from ransomware or other attacks. 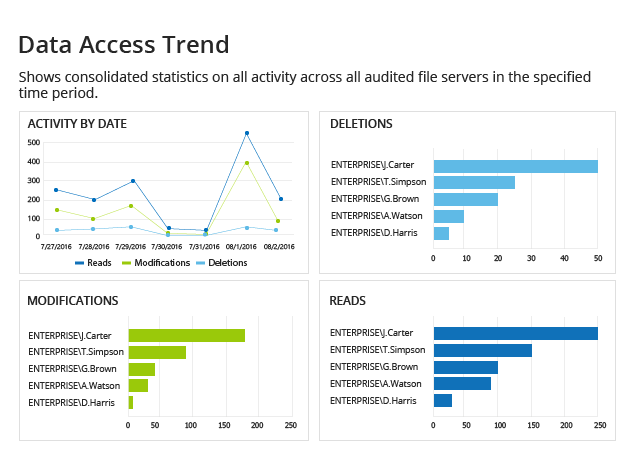 Easily search though audit intelligence and reconstruct events – step by step and with all relevant context – to determine what exactly happened. 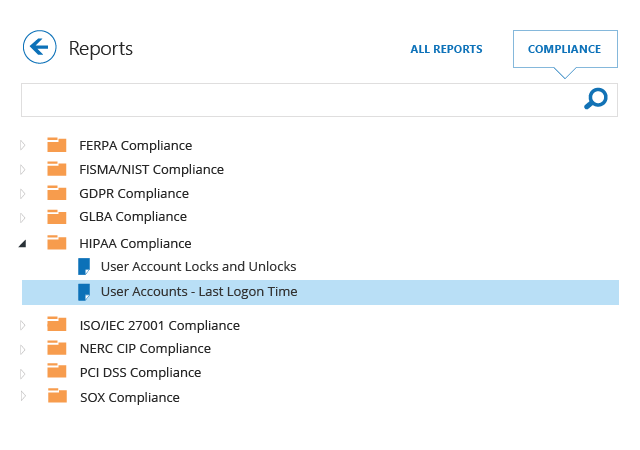 Promptly address auditors’ requests and demonstrate the effectiveness of your security policies during PCI DSS, HIPAA, FDA, SOX, FISMA, GLBA, FERPA, NERC CIP, ISO and other compliance checks. When you deal with protected health information, confidentiality, integrity and availability of data are vital issues for your organization. 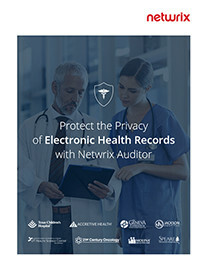 This eBook details how Netwrix Auditor empowers organizations like yours to maintain their patient’s data privacy and prove compliance in minutes. Consilink ensures PHI safety while saving $200,000 yearly, and can expand its business with confidence. Henry County Hospital simplifies HIPAA audit preparation processes and saves $40,000 yearly. Palmer College of Chiropractic slashes costs on HIPAA, PCI DSS and FERPA compliance.